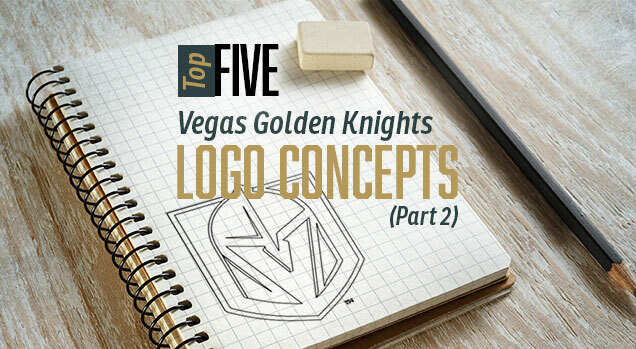 In Part 1 of this series we took a look back at Top 5 Golden Knights concepts from across the web, specifically concepts that were Knights themed, due to the fact that we knew Las Vegas was going in this direction. However, with the Las Vegas expansion draft coming up in a few short months (June) followed by a much anticipated uniform unveiling for the Golden Knights, we figured this is our last chance to look at some “what if . . .” scenarios, and see what kind of hindsight we have on this branding. Many of us still have unanswered questions, like, “Why did Las Vegas allow their new division rivals, the Los Angeles Kings, instant one-upmanship with the whole royal hierarchy thing?” From a branding point of view, Las Vegas had an opportunity to carve out their own niche. They’re in a unique location, with some unique features. In this edition we’ll take a final lap around some of these concepts and pay tribute to some passionate designers out there, so let’s get to it . . . 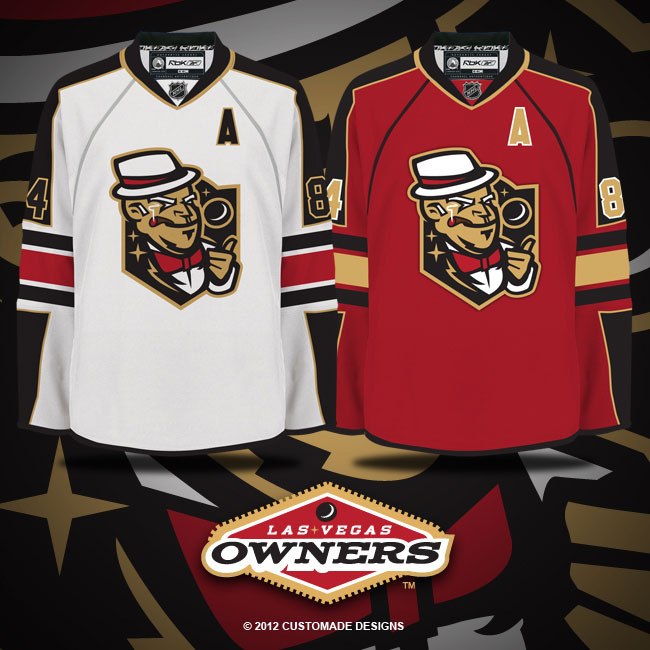 The ‘Scorpions’ team name was popular on many Las Vegas NHL expansion polls, and for good reason. 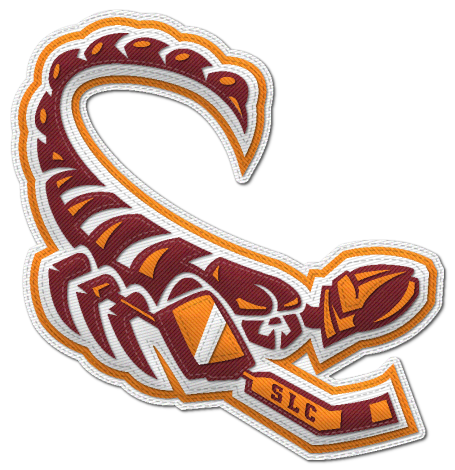 The Scorpion is native to Nevada, and has even been used in branding for youth teams in the city. I like the orange primary color for this brand, but could be explored further to find a solution that doesn’t rely on black so much, like the nearby Anaheim Ducks and L.A. Kings do. I don’t love this logo rendering. It looks more like a bug than a venomous arachnid. Logos featuring sentient creatures need to be dynamic. 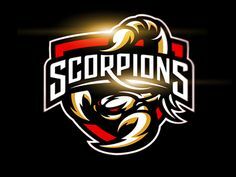 This e-sports logo, for example, does the scorpion better justice. Even something kitschy like this could work, because it’s memorable. The typeface choice for this word mark works well enough for the concept, only needing minor adjustments, such as straightening out the bottom edge of the last ‘S’ in ‘Scorpions’ to match the other letters. It looks better as a stand alone mark then when it’s combined with the illustration. 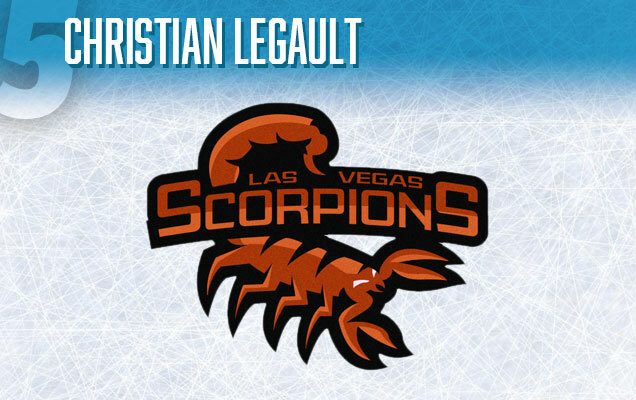 Also, I like that a simple ‘LV’ has been developed as an alternate logo, which has marks on it that mimic the ridges on a Scorpion’s back. 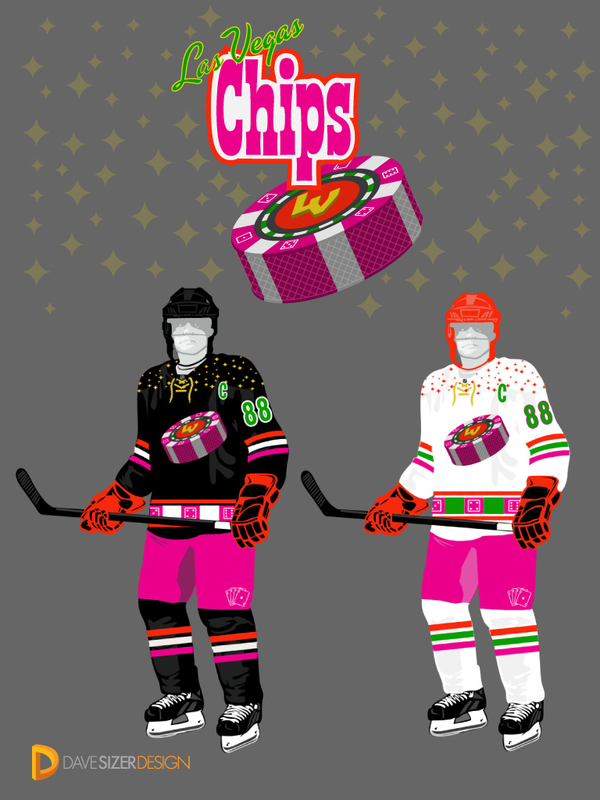 My final verdict is that this is a good concept for a Las Vegas team, but essentially falls short in design execution, needing a complete overhaul with the illustration and minor considerations for the rest of the package. This is the only local Las Vegas designer I’ve seen get a publicized concept out there. Respect! I think there are some good design ideas here, but could be better if developed further. 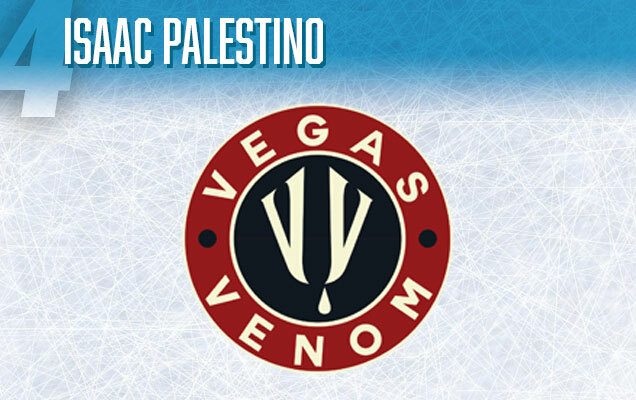 For one, ‘Vegas Venom’ is pretty short when it comes to team names, and I don’t think the alliteration would be lost if it was extended to the full title of ‘Las Vegas Venom’. 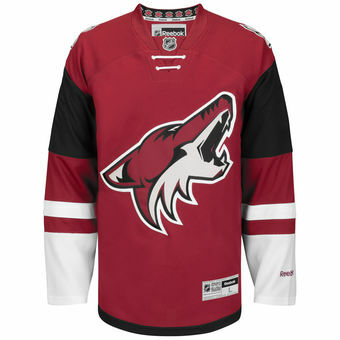 Also, the color palette used here, is almost exactly the same as their geographical neighbors, the Arizona Coyotes, and should definitely be reconsidered. A variety of color combinations would work just fine, for a snake-themed branding. 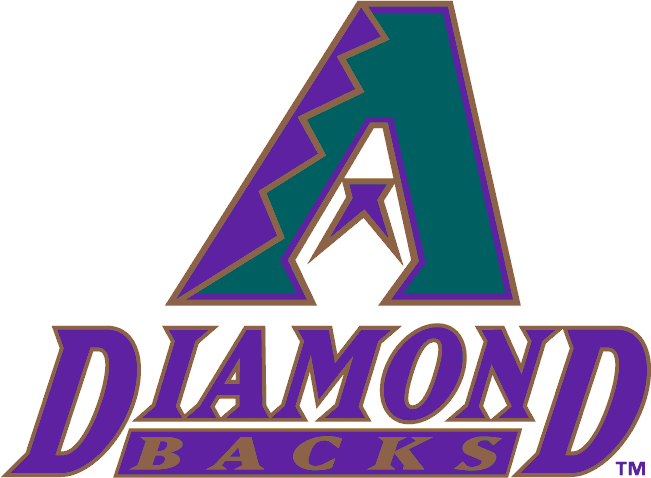 You could use the purple and copper of the MLB’s Diamondback’s, for example. Their not using it anymore. Things that are working great for this concept: The word mark! I love this strong serif typeface, and the venom drop in the ‘O’, and the secondary ‘V V’ logo that looks like a pair of snake fangs, is a smart design. 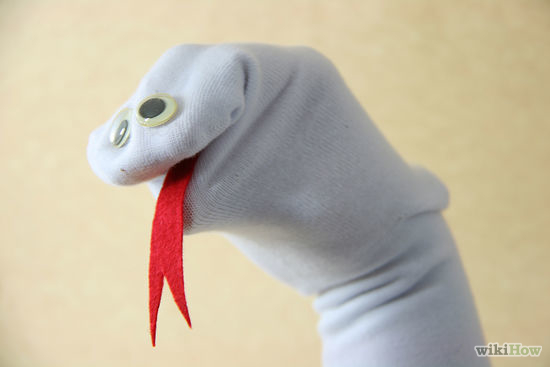 Both of these elements are much better than the primary snake logo illustration, which if I’m being totally honest with you, looks like a clunky sock puppet, with too small of fangs, and not enough movement overall. 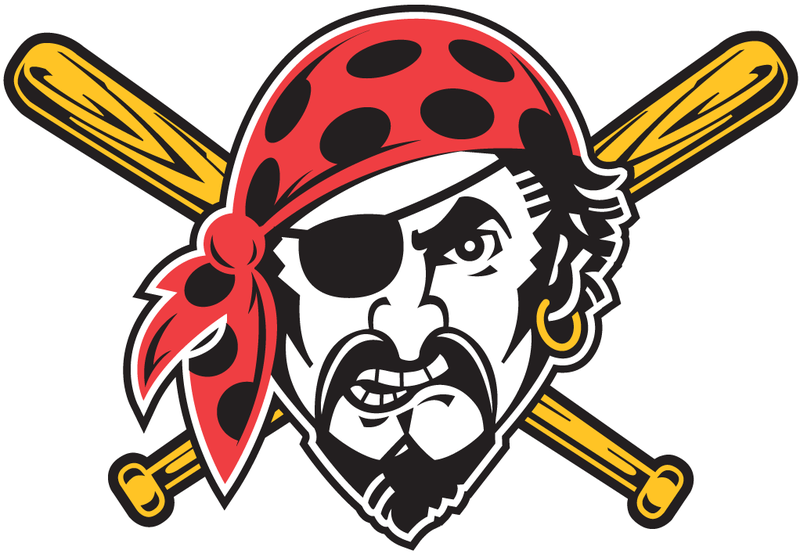 I think with some careful adjustments, this concept could come back as a real contender for a future sports franchise. Say it with me, “Las Vegas Outlaws”. The name has a nice ring to it! 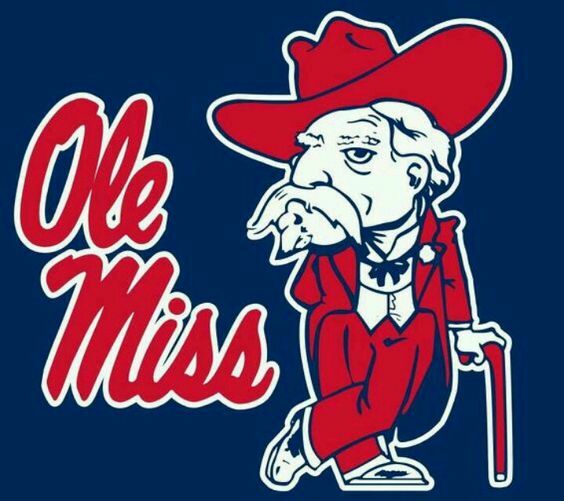 For those that think the concept is corny, I think that there’s a strong argument that it’s actually no worse than other longstanding sports team names like the Rebels, Pirates, or Patriots. 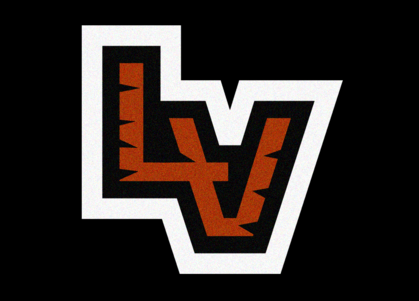 The historical reference to Las Vegas’ founding as a rough and tumble town is unique, and not a direct reference to gambling, which the league insisted on. Plus, Las Vegas residents will recognize the name from the now defunct AFL football team, that played for one glorious season under the ownership of Vince Neil, lead singer of Motley Crue. How “Vegas” is that? The designer did a great job with this ‘Outlaw’ logo illustration. There’s plenty of movement and interest. The color palette, featuring red, black and grey, with gold highlights on the face is fitting for the brand. However, I think the glove placement could be reconsidered, and made smaller, as well as simplifying the ‘streaks’ on the left side to make them more streamlined. I would have liked to see this logo concept developed further. 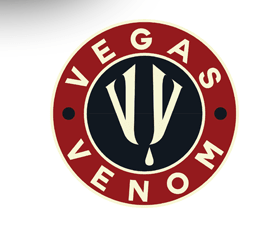 The designer originally created this logo as part of a Las Vegas concept series for ESPN, and unfortunately, did not include a word mark or jersey concept. 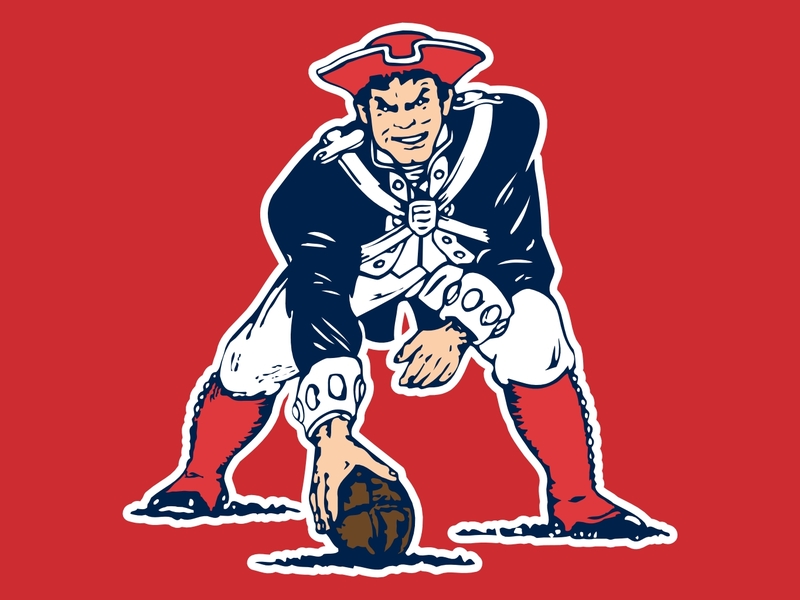 So, our imaginations will have to suffice for seeing this bandit as part of a full team branding. This concept barely made it onto my radar the first time around. It’s fairly conservative and non-flashy, but eventually these traits won me over, for being just that. 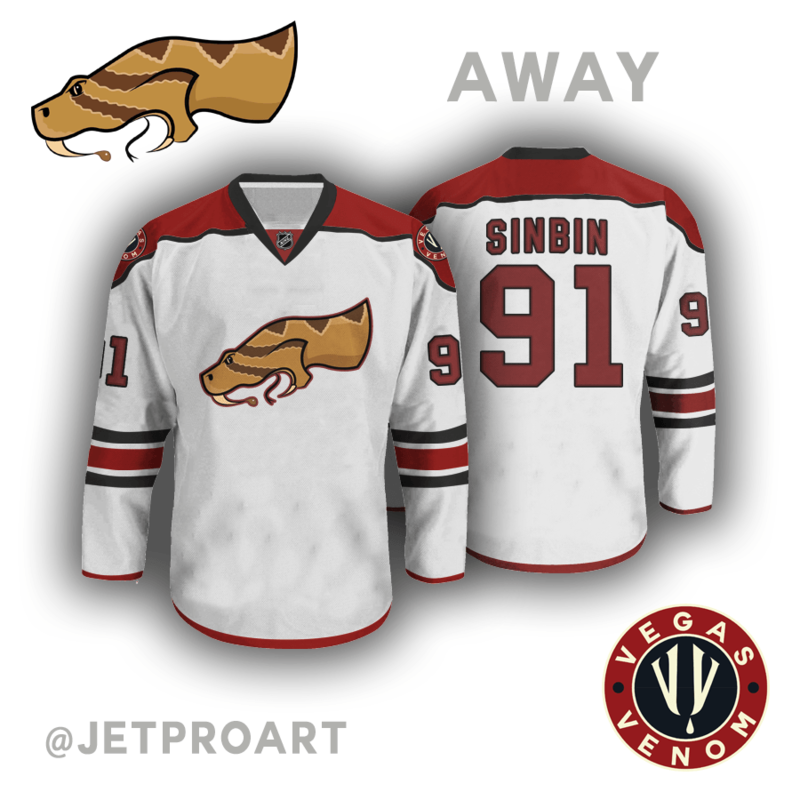 Named after the regional Desert Bighorn Sheep, this concept has no use for any corny Las Vegas-themed frills. It’s a classic feeling sports brand, with a strong color palette of navy blue, gold, and steel grey, which is a good branding contrast to the red desert colors of the nearby Arizona Coyotes, and also the orange and black of the Anaheim Ducks and LA Kings, respectively. 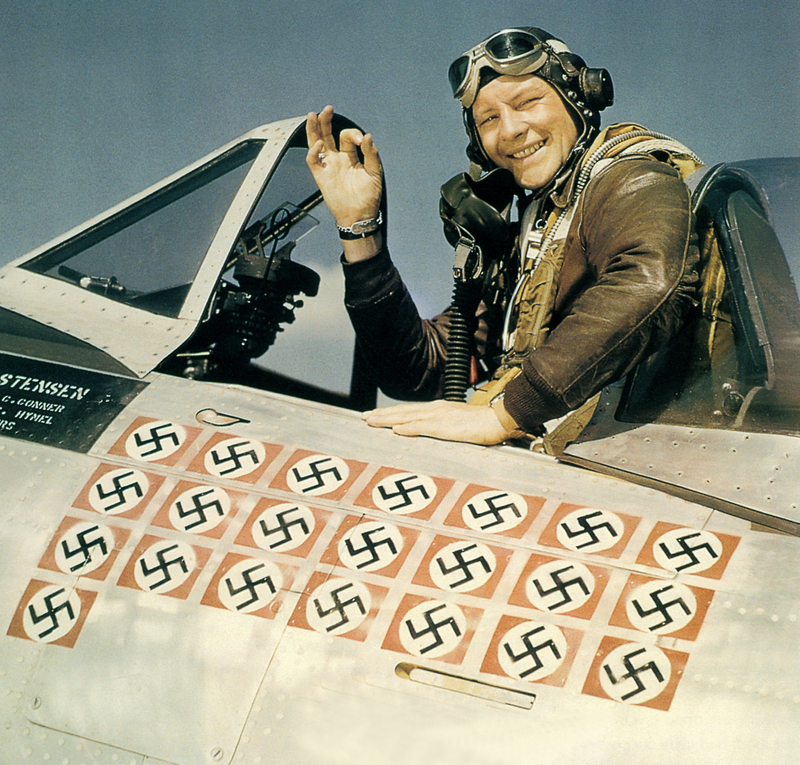 Ok, what about the logo? 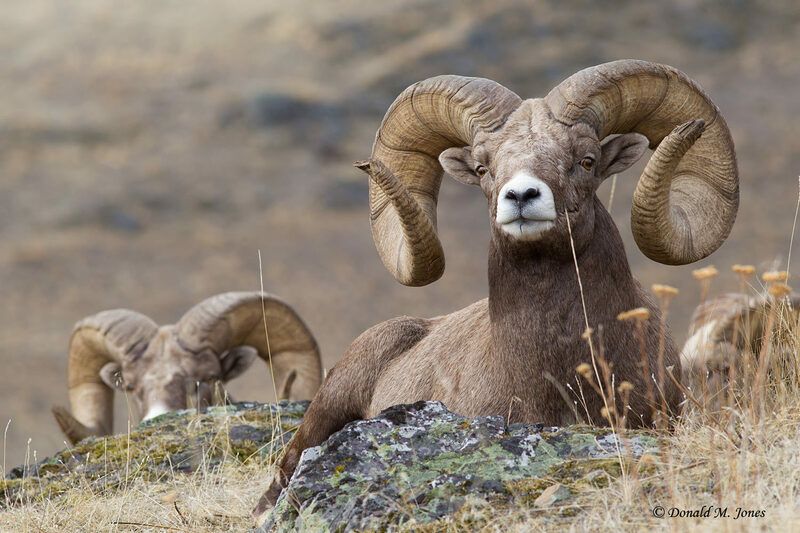 The bighorn sheep rendering is fierce, and would only need minor design adjustments to be NHL ready, such as distributing the blue shadows on the head a little more evenly, and maybe making the actual horn a little more elegant, if we’re nitpicking. 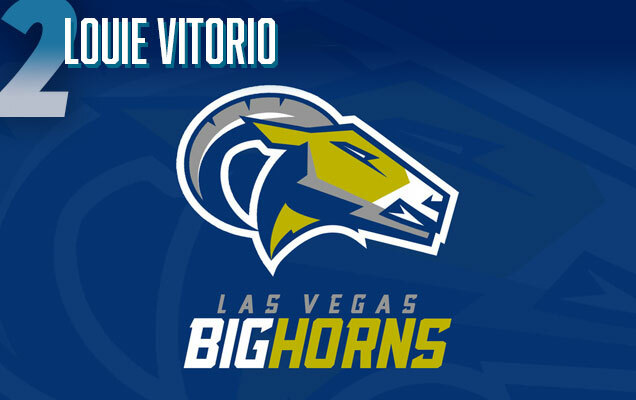 Even though ‘Bighorns’ as a sports team name is not exactly an original idea in Nevada (there’s D-league basketball team named the ‘Bighorns’ on the other side of the state, in Reno), it’s certainly a totally solid choice which has real potential for longevity. 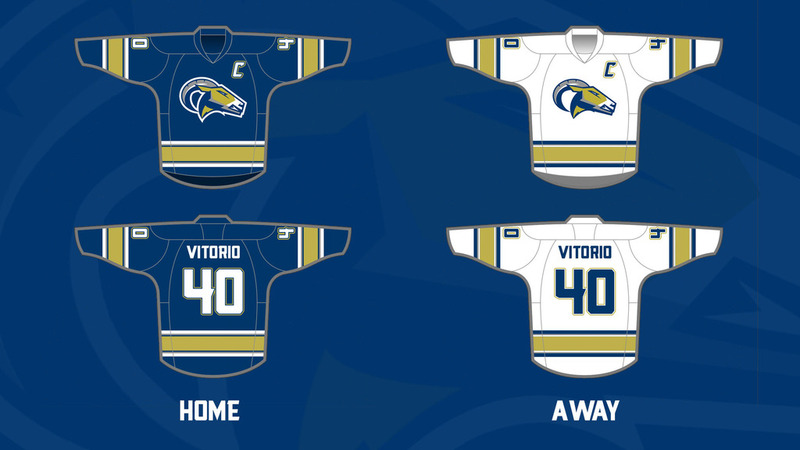 Plus, it looks pretty great on a uniform mock-up. This concept gets major points for being a more than solid sports brand without relying on gimmicks. This was one of the most widely distributed fan concepts making the rounds on the internet before the Golden Knights name was revealed, and for good reason. 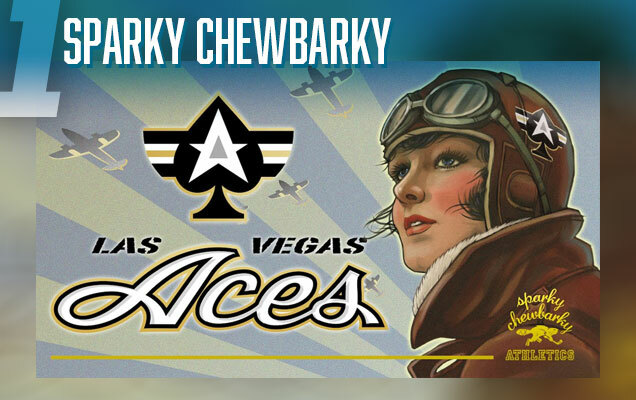 This concept took the name ‘Aces’, which was a very popular idea, itself, considering the whole Las Vegas gambling thing, but instead classed it up considerably, by not focusing on the playing cards, though that theme is still there, to a degree, but making it about Ace fighter pilots, you know, those mid-century, World War II era badasses. Yeah, those. 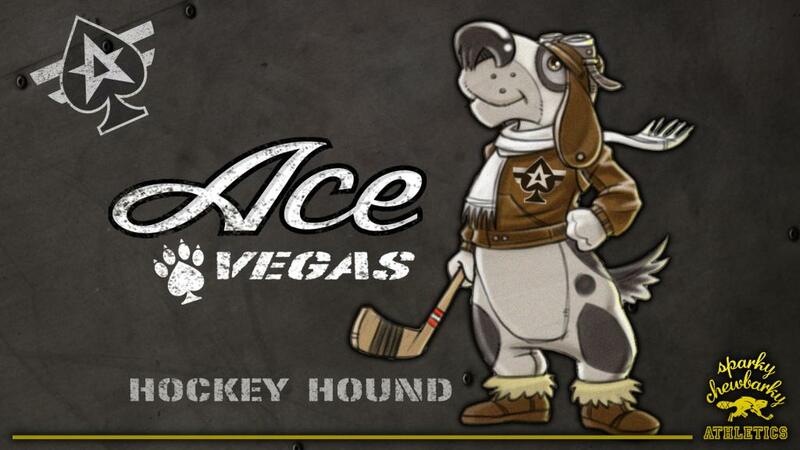 Like if this branding actually happened, the Winnipeg Jets would envious of how the Aces just became the cooler version of them. Incredible, right? This concept was extensively developed, and has some really great ideas in it, even including a dog mascot. First, the logo: I like how the ‘A’ fits nicely inside of the spade, but the grey center throws it off for me, and it would probably read stronger if the center of the ‘A’ was black. Also I’m not sure if the stripes behind the spade are necessary, as part of the primary logo, but I could see them being added to the logo if it was being used as a shoulder patch. 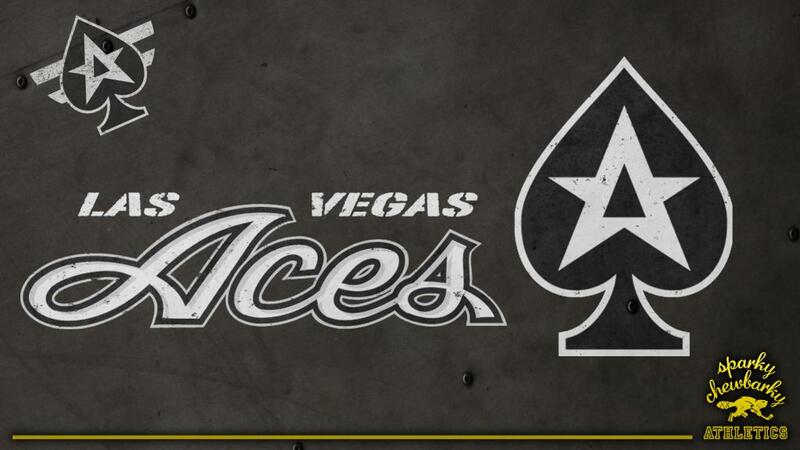 The script font for ‘Aces’ is really nice, and would look like an instant throwback jerseys, and even though I generally dislike the army-stencil font (used on ‘Las Vegas’), it works well enough for this concept, that I’ll give it a pass. 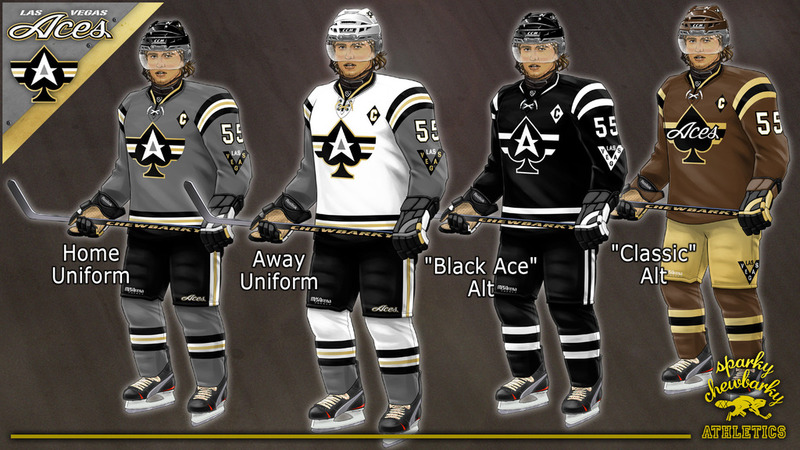 Overall, a fantastic design that could certainly hold it’s own weight in the NHL, and the overall top design for our Las Vegas concepts. 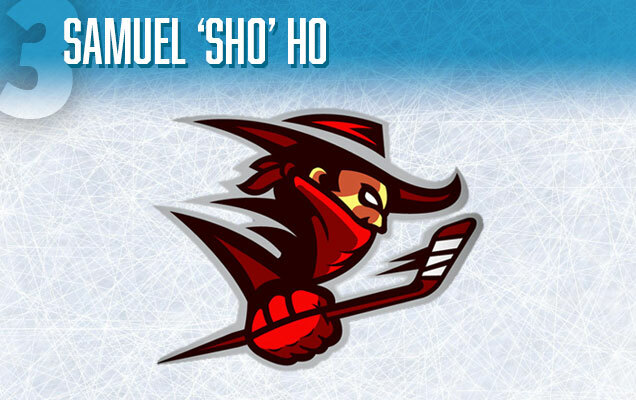 Can I bye the las vegas outlaw logo for my hockey team.